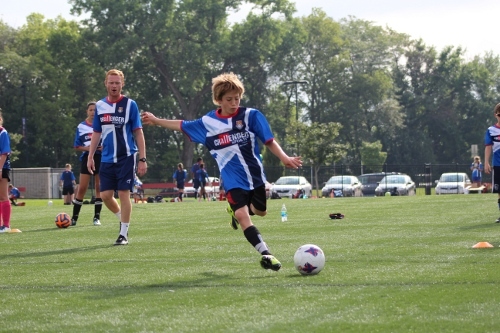 Why You Should Enroll in Summer Camps Like British Soccer Camp This Week! Legalese Nonsense: One of the kidlets will get to attend this soccer camp thanks to British Soccer Camp and USFamilyGuide, and you get to get some brilliant ideas and get ahead of the schedule with this post. I love it when everyone wins! So I don’t know about you—but this is what we did today! That’s not the reason I’m putting it on my to-do list for this week, however. Now that Valentine’s Day and Amber’s birthday are over the next big events on the agenda are Spring Break and Easter. And I don’t know about you but it seems like every year after Spring Break rolls around I blink and it’s summer! Every year I have great intentions of signing the kids up for sports camps, and then I always miss the discount for early registration, or by the time I look into it they’re full, or we’ve already planned a vacation that week. This year I’m learning from past mistakes and taking care of it right now! Amber has decided that this will be her last year in ballet, so I thought it would be perfect for her to try out a few different sports this summer through week long camps, and then she can decide which she’d like to commit to for all next year! The same goes for Tyler, he hasn’t ever participated in a sport yet, but with him turning 5 this summer I think it’s the perfect time for him to start trying it out. So far karate and soccer have made the top slots for both kids, so when I found out that British Soccer Camp is the most popular camp in North America and that one is offered right here in Tyler, Texas I knew that’s the first one I wanted them to attend! All of that sounds exactly like what I look for in summer camps! Sure enough if you sign up early (ahem, now) you’ll get a bunch of fun extras! Enroll you child in a British Soccer Camp today and receive a Free British Soccer Jersey – Sign up during Early Registration and we will immediately ship you a great looking British Soccer Jersey! PLUS – enter code FMG15 and we will include a bonus Challenger water bottle. I’ll be registering the kids this week! This would also be a great Zero Clutter Gift Idea for a child with a summer birthday! Do you sign your kids up for summer sports programs so they can try them out for committing to an entire season? Why or why not? Let me know in a comment!